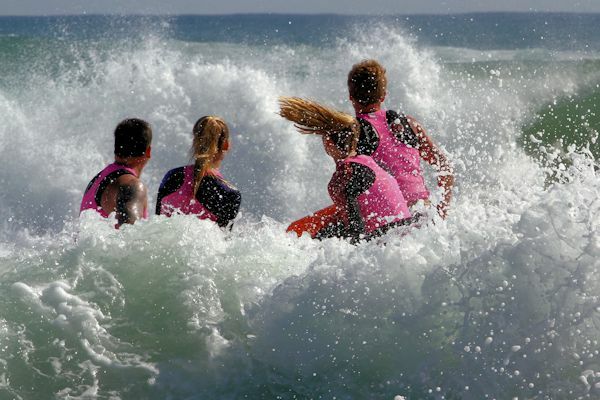 The members of Papamoa Surf Lifesaving Club have been keeping Papamoa Beach safe for the past 25 years. It is a relatively young club, but has an astounding 700+ members from a community of about 22,000. The club is a huge part of the Papamoa community and yet many people don't know what it is about, other than its lifeguard services. I decided to spend this summer hanging out at the surf club in an attempt to show something of the people at the club - from juniors through to seniors - and the volunteers who donate hundreds of hours a year to keeping it running and our beach safe. As per usual I have taken a lot of images and will continue to do so until the end of the lifeguard season when I'll put on an exhibition of my work.